This was a much-anticipated trip that we'd all been looking forward to for weeks (once we learned that we all had the weekend off). Mike and Sherri and Jane and her daughter Lydia (with friend) attended, along with a menagerie of animals. 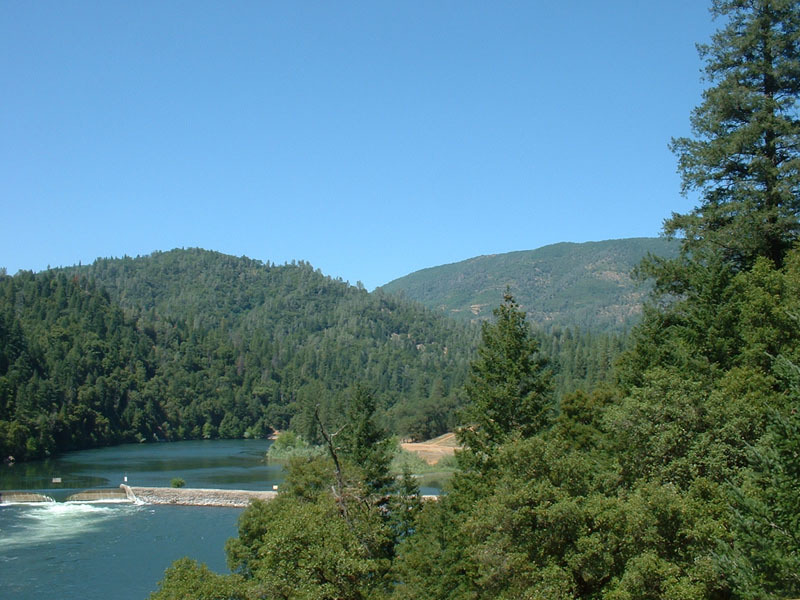 The original destination was Madrone campground, which is 24 miles (and 2 hours) up Fender's Ferry road off of highway 299 east of Redding, California (USA). 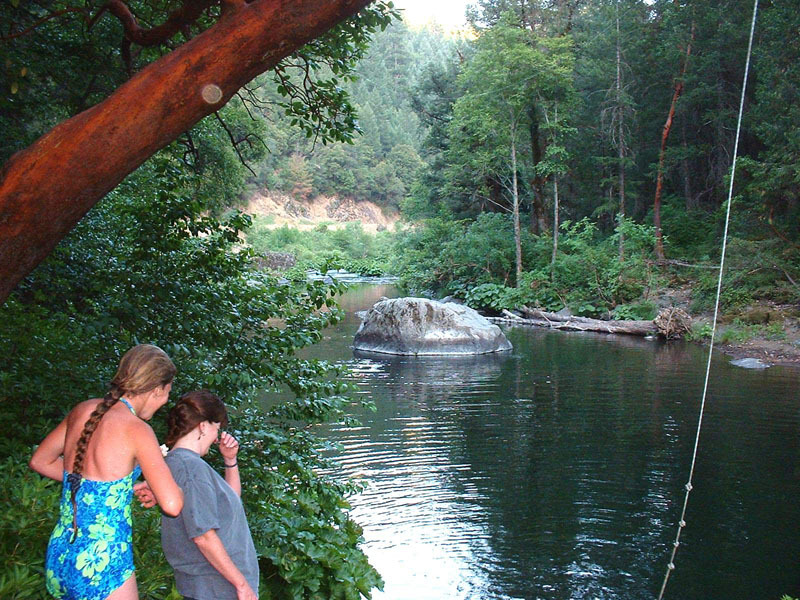 Mike and Sherri left earlier than we did, thank goodness, because every single campground and campsite was full!, but they had sniffed one out that turned out to be just what we were looking for come daylight of the next day, right on the river and 200 feet from a nice swimming hole. A very satisfying 4 days and I didn't think of work even once. Oh yeah, we took about $300+ worth of food out there and ate almost all of it! Crossing the fabulous Pit river at Potem Falls. The bridge is old and spectaculer. 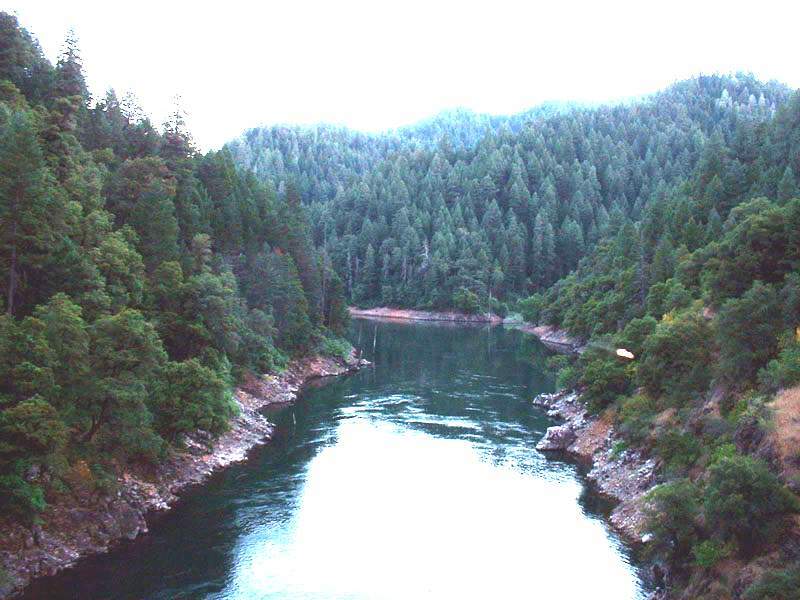 The Pit river on its way to Shasta lake. This the very top of the Pit river arm of the lake. The splendid little Sqaw creek, pretty and icey cold (although not too cold to dive in). 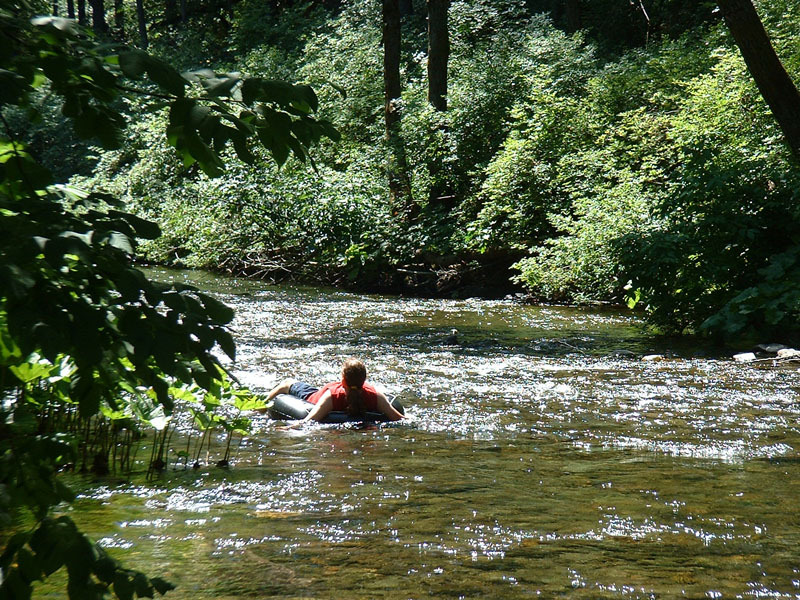 Here's a beautiful little chute to run during a float down the creek. 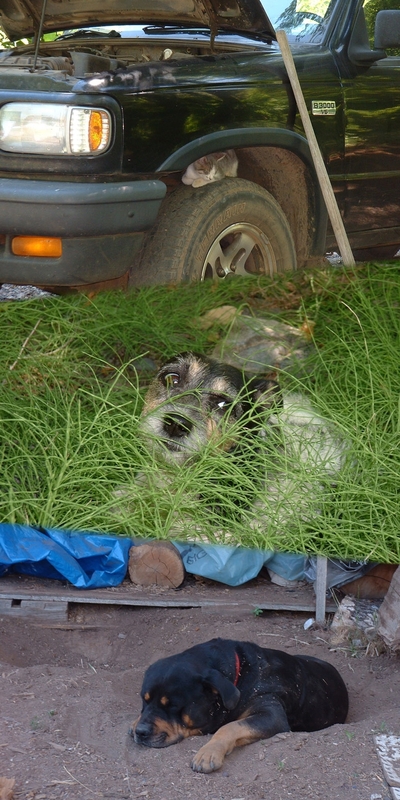 Zeb the dog even braved the rapids and pools (lots of them). 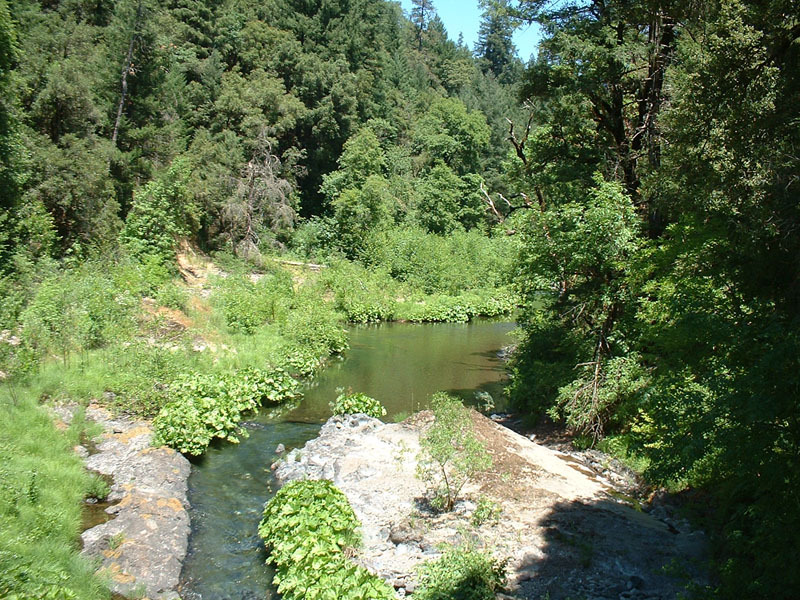 Look at this lush canyon that Squaw creek passes through. All kinds of stunning vistas along the way, too. The creek is plenty wide to drift around on and soak up the sun. If it wasn't so cold you could fall asleep, I tell ya. These young ladies must have floated down that section a hundred times, beginning at 10AM. 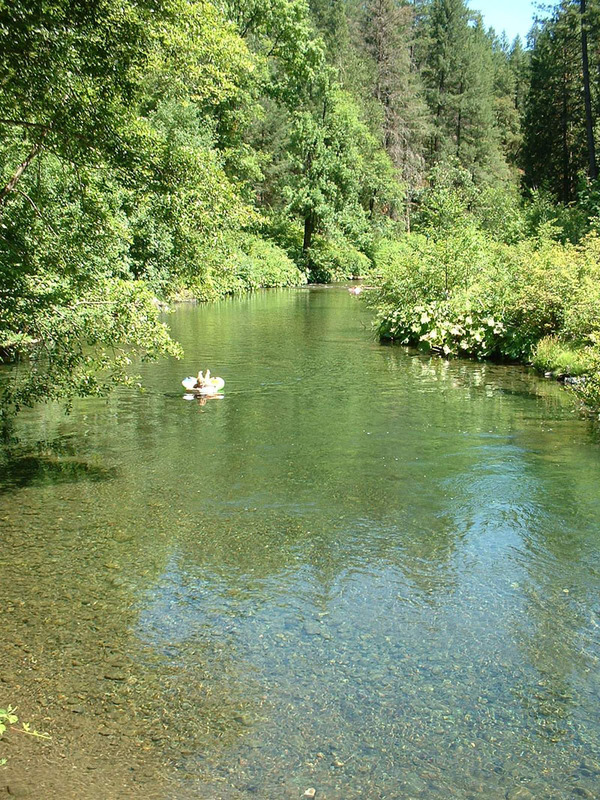 We found this exquisite swimming hole at the end of our float. What a reward. We attacked it the next day and wore themselves out on the rope swing. The only ones that wore themselves out more than the girls were the 3 dogs and the KitKat the camping cat.